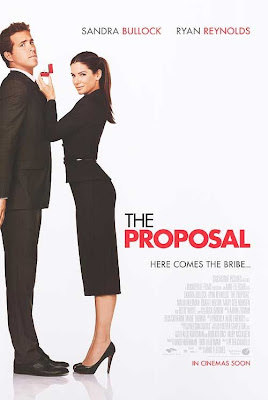 Movie Review - The Proposal ~ Smithankyou - Lifestyle and Travel Photo Blog. The Proposal - Have you guys watch one of my all time favorite "Devil Wears Prada"? In short "The Proposal" is the "Devil Wears Prada" male version + a little bit more love story in it. This is the kind of show I will not put it on par with "Infernal Affairs" but I just can't find any problem with it as well. Good storyline, good acting, good logic, good dialogue, not draggy. What else can I ask for? My Score ? - 5/5 no doubt about that homies!! It was like 3 weeks into the launch and it was still full last night in the cinema! And one show which I am soooo waiting for..
but i am pretty sure this is my kind of movie. Sidenote : Did you guys see the little resemblance in the movie poster? White background, the man and the woman. Clean, Neat, Sweet.. So getting all my wedding photo shoot in movie poster style..
Mr.Smith, Chick flicks are getting better nowadays - or am i turning bimbotic ? Woo may get the DVD for 'The proposal'. Sandra Bullock?